This is a great book. It has great recipes for drinks and Scandinavian style food. 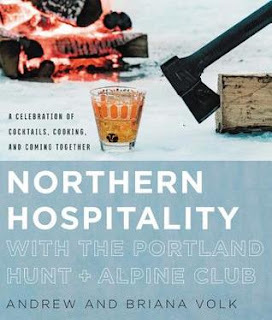 The recipes come from the The Portland Hunt + Alpine Club restaurant and bar in Portland. The recipes, pictures, and stories are all great. If you like entertaining this book would be a great addition to your home bar as well as your kitchen.